We are proud to announce the winners of the Russian American Person of the Year Awards as chosen by the publlic voting. 3. 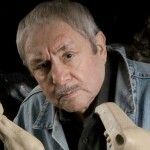 Ernst Neizvestny is a Russian-American sculptor, painter, graphic artist, and art philosopher. Neizvestny’s art celebrates physical beauty in its revival of High Renaissance traditions. He is the creator of the largest sculpture in the world – the Monument “Lotus Blossom” in Egypt, in addition to several other great monuments - “Mask of Sorrow” in Russia, "Monument for All the World Children" in Ukraine, “Great Centaur” in Geneva, “Tree of Life” in New York and many others. Alex Rovt is a Ukrainian born American businessman and real estate investor who specializes in the trade and manufacture of fertilizers. Mr. Rovt now serves as the Vice Chairman of the Board at the Brookdale University Hospital and Medical Center and on the NYC Board of Corrections, as a Trustee of the John Jay College of Criminal Justice, and as a Board Member at Touro College. Mr. Rovt is known for his charitable work not only in Russian-speaking communities, but in other American communities as well. 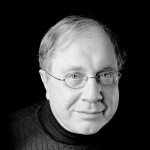 Alexander Stepanov is the primary designer and implementer of the C++ Standard Template Library. 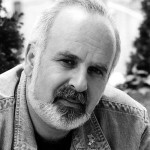 He began development on the Library in around 1992 while employed at HP Labs. 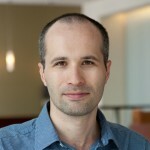 Mr. Stepanov recognized the full potential for generic programming, and persuaded his then-colleagues at General Electric Research and Development (including, primarily, David Musser and Deepak Kapur) that generic programming should be pursued as a comprehensive basis for software development. Larissa and Gennadi Saveliev, professional ballet dancers who have performed with the Bolshoi Ballet and the American Ballet Theatre, are the founders of the most prestigious youth dance competition in the world, the Youth America Grand Prix. They are now prominent dance educators in the United States. 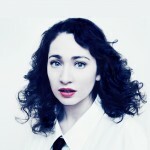 Regina Spektor is a renowned Russian born American singer, songwriter, and pianist. Her family moved to the United States from Moscow when Ms. Spektor was nine years old. In 2014 Ms. Spektor's song "You've Got Time," made widely popular as the theme to the Netflix Original Series Orange Is The New Black, was nominated for a Grammy in the category of "Best Song Written For Visual Media." Ms. Spektor also performed at the benefit concert for HIAS, an organization committed to the protection of refugees. 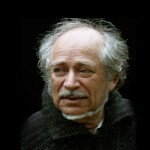 Mikhail Turovsky is an artist named “People’s Artist of Ukraine” by the Ukrainian government in 2008. He is the creator of the exclusive project on the Holocaust that was exhibited at the United Nations. Several of Turovsky’s works are part of major museum’s collections throughout Europe, Ukraine, and Russia, while others remain in other important collections worldwide. Victor Topaller is a prominent television host on RTVi, author, journalist, director and producer. Alex Rubin is a young community leader. For the past two years, he has worked tirelessly to connect fans of famous Russian writer Sergei Dovlatov across the world. As part of that process, Rubin amassed 20,000 signatures to honor Dovlatov by renaming a New York street after him. Mr. Rubin is also an active community member well-known throughout the United States and Russia. 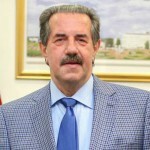 He works closely with the Jewish Bukharian community, and is connected with the Russian Congress in the United States. His next projects will be the installation of a memorial plaque dedicated to Dovlatov, and the dedication of a new street in New York to Russian-American poet and essayist, Iosif Brodsky.